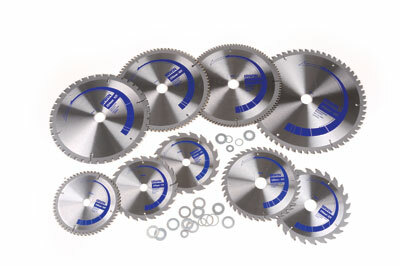 These blades fall into specific categories. 'Wood' is for wood cutting only and features a positive tooth rake angle suitable for rip sawing in handheld circular saws and table saws. 'Aluminium' however will also handle wood and PVC/ ABS materials, but with its fractional negative tooth rake angle can perform fine crosscutting in wood. The 'triple chip' teeth mean they are capable of spelch-free cutting of faced boards such as melamine. 'Multicut' will cut aluminium and wood as well as screws and nails buried in wood such as those found working on site or reclaiming timber. These blades appear to have zero rake on the teeth. 'Cordless' is self explanatory, these have a thin body, thin kerf with a positive rake and are intended for rip cutting and coarse crosscutting. The build of these blades is good; brazing of TCT teeth is very consistent although generous, but machined away when the teeth are cut to profile. 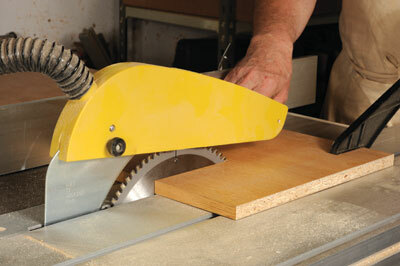 The wood-only blades have an alternating cut to score as they take the wood away. The blade relief slots are quite simple, none of the usual wavy laser cut slots. The acid test as far as I am concerned is not how fast I can cut through a bit of timber or how many nails a blade can chomp through, but how fine a finish can I get off it. Will it save me effort or simply make extra work? 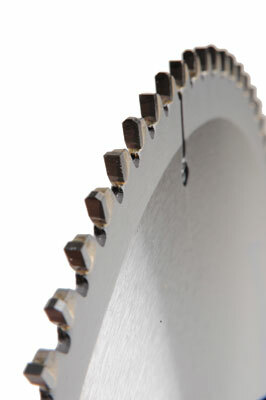 An 'Aluminium' triple chip blade in the table saw cuts â€˜facedâ€™ boards really well. The downside was how 'sonic' this blade was, ear defenders more essential than ever. Overall however, an extensive no-frills range.